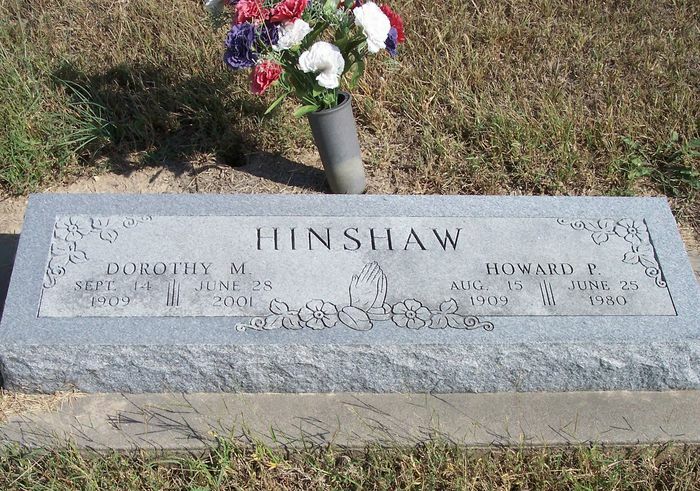 Hinshaw, Dorothy M., 91, homemaker, died Thursday, June 28, 2001. Service 2 p.m. Saturday, Rose Hill Friends Church. Survivors: sons, Harlan, Darrel both of Wichita; daughter, Valera Hinshaw of Wichita; four grandchildren; three great-grandchildren. Memorial established with Rose Hill Friends Church. Smith Mortuary, Derby. Obituary of Dorothy M. Hinshaw.